Hollywood can be a fickle place. This is true for a variety of reasons including success or the lack thereof at the box office. In recent years several movies have piled up substantial box office numbers. 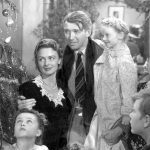 Presently, there are 5 movies playing at the theater each totaling $300 million or more domestically at the box office. A feat never accomplished prior in box office history. Certainly, many box office smashes are well made and deserve every dollar audiences spend. But success at the box office doesn’t always equate to greatness. On the flip side there are well made movies released every year which go unnoticed and largely ignored by movie patrons. Why is that? There is no all encompassing answer. I think the causes are different for each film. In this week’s edition of The Five I will attempt to explain why 5 excellent movies didn’t catch on at the box office. Hopefully, in the process I will steer you to discover some great films that you’ve never considered watching. 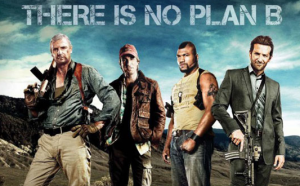 Why the Movie Flopped – The A-Team was largely overlooked by movie goers due to an avalanche of remakes, reboots, and TV shows brought to the big screen around the same time. Tragically, this movie was lost in the shuffle. Why You Should Watch – The A-Team boasted a superb cast filled with A-List talent. Liam Neeson and Bradley Cooper truly became the iconic characters, Hannibal and Face. Not to be out done lesser knowns, Quinton Jackson and Sharlto Copley, also perfectly captured the beloved characters of B.A. and Murdock. This was the movie that every remake should strive to be! Smart, fun, funny, witty, excellent dialog, exciting, good action, well written, great music, etc. The film featured arguably the best character introductions of all-time during the first 15-20 minutes of the film! The A-Team remained faithful to everything that made the TV show a classic while at the same time successfully adapted the franchise to the big screen in the 21st century. Run, don’t walk, to your nearest rental store or to your preferred digital movie service and watch this movie! 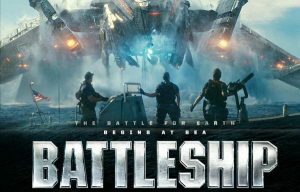 Why the Movie Flopped – The concept to take the simple children’s game, Battleship, and turn it into a full fledged movie sounded ridiculous. C-12. Oooo… exciting. The lack of any big name star power also hurt the movie’s appeal. Further, critics destroyed this movie like few others in recent years. 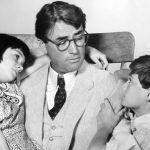 Bashing the movie became a matter of professional pride otherwise critics were afraid they wouldn’t be taken seriously. Finally, the bloated budget became of source of negative press. Why You Should Watch – Battleship was chock-full of action and humor from beginning to end. The movie used the first handful of scenes to set the tone for entire film. That tone was surprisingly funny with plenty of humor. Even with a focus on humor Battleship was able to take itself seriously without being too serious. The movie was big, bold, and flashy in the way a summer blockbuster should be. Battleship was a good popcorn flick in every way. While the budget was indeed large 100% of it showed up on the screen with plenty of FX and visual spectacle. Perhaps, Battleship was simply too much fun for critics? Why the Movie Flopped – Stranger Than Fiction was not a mass appeal film. As such a lot of people never gave it a chance. Even more damaging was the casting of Will Ferrell as the lead. 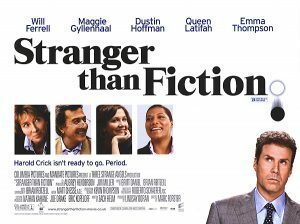 Stranger Than Fiction was about as far from the typical Ferrell role/film as possible. Fans of Ferrell’s comedy were almost certain to dislike or never watch Stranger Than Fiction. 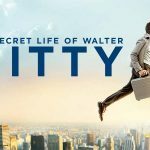 Why You Should Watch – Will Ferrell stepped out of his comedic comfort zone and surprised with a strong dramatic performance. Stranger Than Fiction could have, maybe even should have, been a spring board to dramatic acting similar to the path of Jim Carey’s career from comedy to drama. The role was just quirky enough to make use of Ferrell’s comedic talent even though the humor in the film was nothing like a typical Ferrell comedy. The concept of the movie was extremely creative and original. In the culture of Hollywood which was moving away from originality Stranger Than Fiction shined even brighter. Stranger Than Fiction was an intelligent film that explored themes such as free will vs determinism wrapped in a clever, entertaining, dramatic, witty presentation. 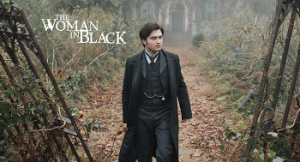 Why the Movie Flopped – The Woman in Black was Daniel Radcliffe’s first film after his tour starring in the world famous Harry Potter films. By comparison his role in The Woman in Black appeared boring and mundane. Also, audiences were not ready to accept Radcliffe as an adult or as the lead in a horror movie. The renowned role of Harry Potter and all the preconceptions which accompanied it proved difficult for Radcliffe to shed after that franchise concluded. The studio didn’t help when the movie was dumped in the typical dead time of the year for the theater (post winter holiday but pre-summer). Why You Should Watch – With a focus on mood, atmosphere, and suspense the Woman in Black elicited chills not from gore, but through tone. The Woman in Black was one of the creepier movies released in recent years! But the film was much more than just atmosphere. The Woman in Black pulled the audience in with a mysterious story that was well written and executed. The characters were interesting and the plot developed them well. Why the Movie Flopped – For questionable reasons Ben Affleck was Hollywood’s public enemy No. 1 at the time of Daredevil’s release. Casting him in any major role was a risk. Also, Daredevil was ahead of it’s time in tone and style for the comic book film genre. Though currently dominating the box office the comic book film genre was still a fledgling in its infancy when Daredevil was released. As such the masses were ready to embrace only the most popular and recognizable characters such as Spider-Man, Batman, Superman, X-Men, etc. Daredevil while not an unknown didn’t have the same appeal. 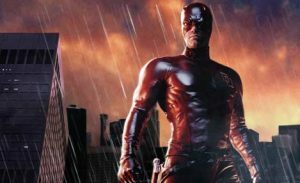 Why You Should Watch – Daredevil was dark before being dark was popular in the comic book film industry. Despite some over the top action the film maintains a gritty, realistic tone. The movie succeeded in being stylish without being ridiculous. For this reason the film was polarizing. 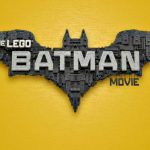 The top notch cast which included Ben Affleck, Jennifer Garner, Colin Farrell, and Michael Clarke Duncan all turned in solid performances. ← Wake Up, People! It’s 2016! I have seen A-TEAM, Stranger than Fiction and the Woman in Black and liked or loved all three. Good job. Mark, I like the list. I would recommend the Director’s Cut of Daredevil over the Theatrical (PG-13) version. It’s given more room to breathe and that helps it become an even better film. I am a Will Ferrell fan and I loved Stranger Than Fiction. I also loved Everything Must Go where Ferrell is the lead in a dark comedy/drama. Adam Sandler’s Punch Drunk Love is another dark comedy I enjoyed. I was thinking about Punch Drunk Love today. I can’t remember both movies well enough (it and STF) enough to remember how similar they were. We tried to help Mark a little with the “If you liked _______, see this” part. I would remove “Daredevil” and replace it with “Children of Men”. Well written list. Superb movie. Definitely one of the best movies I’ve seen this century. Children of Men is one of my top 20 films of all time. I don’t think Mark holds it in such high esteem though. I’m surprised Gigli isn’t on this list based on the lack of concern about what the critics thought about the movies. Contrary to popular opinion, critics are not always right. Regardless, Stranger Than Fiction has a 72% Rotten Tomatoes score. The Woman in Black a 66%, while not great, not terrible either. The point is, critics can be helpful but just because critics dislike a film, that does not automatially make it a poor film. They were right about Gigli though. Critics are not always right, but they usually have a good idea of a movie. I don’t see any of those movies being considered unearthed gems later on like The Big Lebowski or The Shawshank Redemption. Critics loved both of those films, true. Not sure this list was meant to be a list of classics or great films. Just a list of movies that are better than generally perceived. Big Lebowski is overrated. The Coen’s have many better films. Overrated? No way. It’s their third best movie after Fargo and No Country. But my point was it bombed critically and financially. So did Shawshank. Nobody saw either until VHS. Neither Shawshank or Lebowski bombed with critics. Both were very well received by critics. This is not a complete list. These are just five that Mark personally liked, thinks deserved better, and wanted to recommend. A thorough objective list would be way, way, way longer. I guess I meant just not highly regarded. Bombed is too strong of a word. They definitely weren’t considered great movies like they are now. I see now that Shawshank got several Oscars so not a great example. It definitely bombed financially. I”m probably one of legions who feel this way, I hate it that Shawshank had to face Forrest Gump for Best Picture. I don’t know that it would have won if not, but it should’ve. I’m not a big movie critic but it’s so well done. Could watch it over and over. Know people who do. This article is not a “Top … List” or even in any specific order. These are simply 5 movies that I believe are much better than their box office numbers indicate. The only criteria for this list was for a movie to undersell at the box office (which is a relative dollar amount for each). 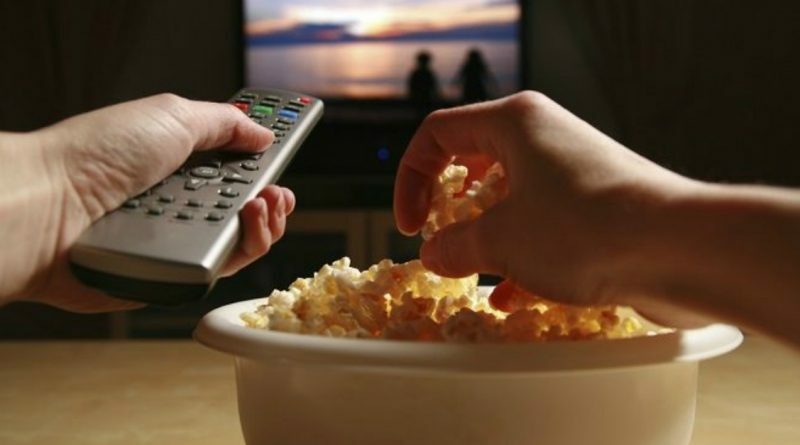 Some movie goers write off low earning films, especially those produced to be a big draw at the box office, as poorly made and not worth their time or money. That results in overlooking several quality movies. As I mentioned there is no universal reason for a lack of success at the box office. 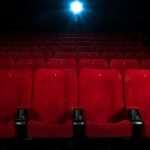 Poor reviews from critics may be just one reason some of these movies were disappointing at the box office, but not a qualification to be considered for this article. My only reference to critical response was in the comments about Battleship because I felt that was a huge factor in the movie’s poor performance at the box office. And as Phill noted some of the films in this article were well received by critics.